Destination York is an 8-week pathway program that you can enrol in after applying to a degree program at York. Successful completion of Destination York fulfills the York U language entry requirement, with no test required (no IELTS or TOEFL). The program is taught by qualified instructors and features an innovative curriculum. Students enrolled in the program will also have access to support services. Your academic success in the Destination York program is as important to us as your successful integration into York University afterwards. We ensure your pathway into York is as smooth as possible by providing access to undergraduate advising services, comprehensive information sessions with all faculties, and workshops that keep you informed of next steps. The Destination York Program is designed to help high school graduates to prepare for study at York University in Toronto. This program focuses on the language skills required to succeed in York undergraduate courses. Graduating high school students who are eligible to join Destination York will be among a select group of high achievers who are motivated to improve their academic English skills. 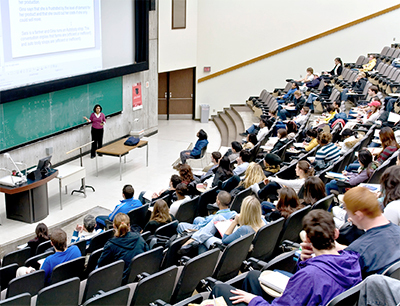 * York University English Language Institute program classes will in most cases run according to the schedule noted. Based on program requirements and increased student registrations, some program schedules may need be shifted to evenings (5:45pm-10:45pm) and Saturdays. -IELTS: minimum 6 or TOEFL iBT: 79 or TOEFL paperNOTE: You can begin in our Academic Program at any level and transfer into Destination York after successful completion of AP7. Bank Transfers: Please contact the English Language Institute office if you intend to pay by bank transfer. Please be aware that most international bank transfers requests will be charged a bank transfer fee. Please ask your bank for details. Students are responsible to ensure the money they have sent to English Language Institute covers any bank transfer fees. Health Insurance (Emergency Medical coverage) is available for an additional cost of $100.00 (2 month program for IELTS 6.0) or $200.00 (4 month program for IELTS 5.5). Non-refundable deposit of $3,000.00 (2 month program) or $4,000.00 (4 month program) is required to complete your registration and receive a Letter of Acceptance.